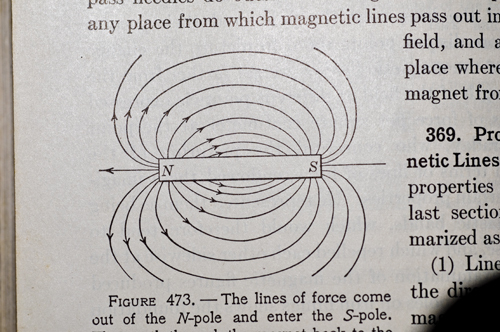 Open any book or web page that talks about magnets, and you will probably see a drawing that shows magnetic lines of force that extend from one end of the magnet to the other. Are there really lines of magnetic force as they show in the drawings? Well, lets find out. 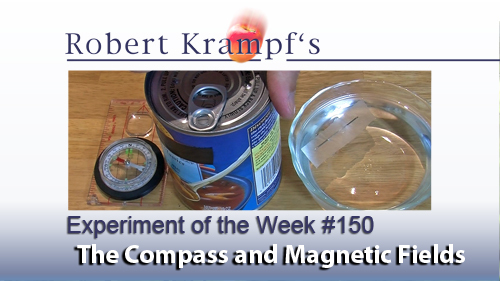 Read more about Magnetic Lines? I wanted to do an experiment about demagnetizing magnets, and the simplest way was to begin by magnetizing some paperclips. Once we do that, then we will explore ways to get rid of the magnetism. 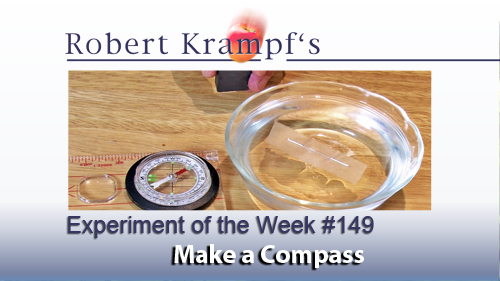 An easy way to explore magnetic fields is by using a compass. You can buy one, but it is easy to build your own. 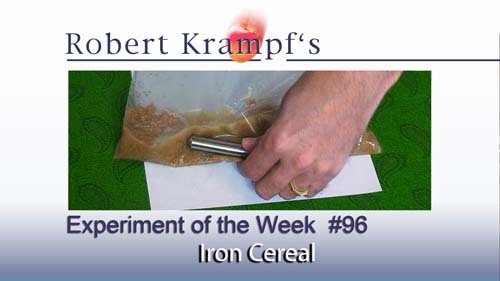 This experiment is one that I stumbled upon while working on another idea. That seems to happen to me frequently. I was planning to magnetize a needle, and as I was sorting through all the magnets on our refrigerator, I got sidetracked into playing with the rubber magnets (which are really plastic, not rubber). The more I played; the more interesting it got. Science can be found all around you, in every part of your daily life. Sometimes it is fairly obvious, such as the chemistry of a burning candle or the physics of a storm. Other times, it takes a bit of exploration to make it easy to see. 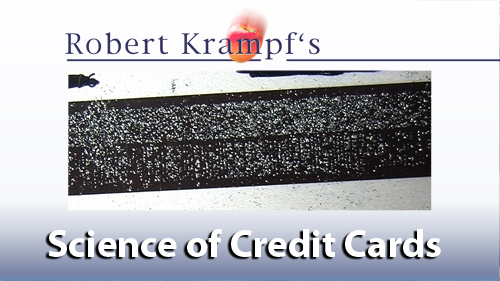 That is the case with some of the science behind a credit card.